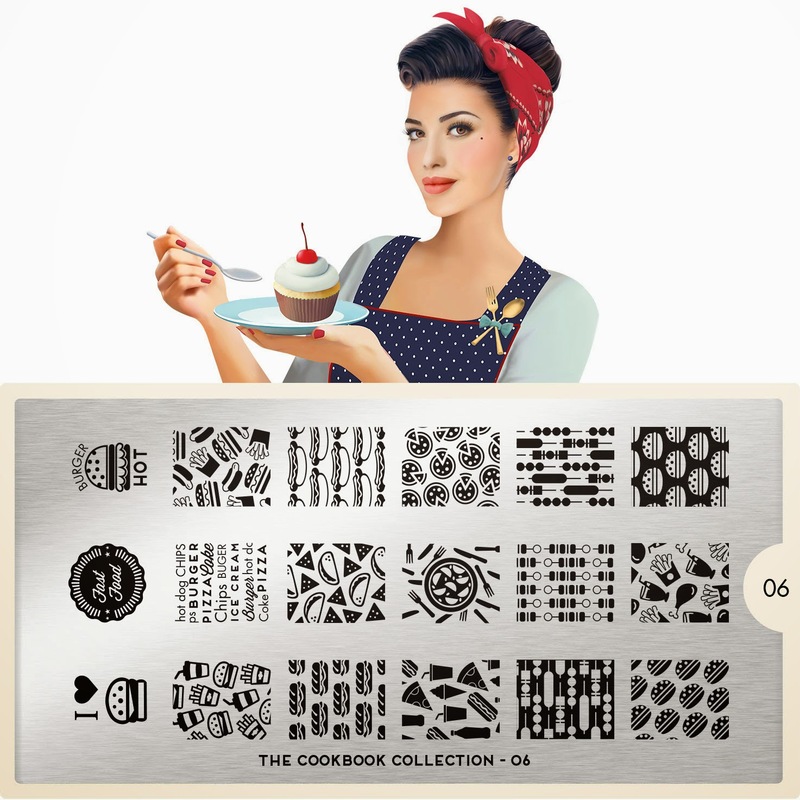 Lacquer Lockdown: Hot Off The Stamping Press: New MoYou London Cookbook Collection Nail Art Stamping Plates! Hot Off The Stamping Press: New MoYou London Cookbook Collection Nail Art Stamping Plates! Right now I swear I'm cursed. My computer has broken so I am attempting to post updates via my blogger app on my iPad. In the meantime all the photos and data I have in my computer are being held hostage. I almost want to kill someone, but I'll hold it in and try this instead. I'm hoping it works out despite things not being ideal. 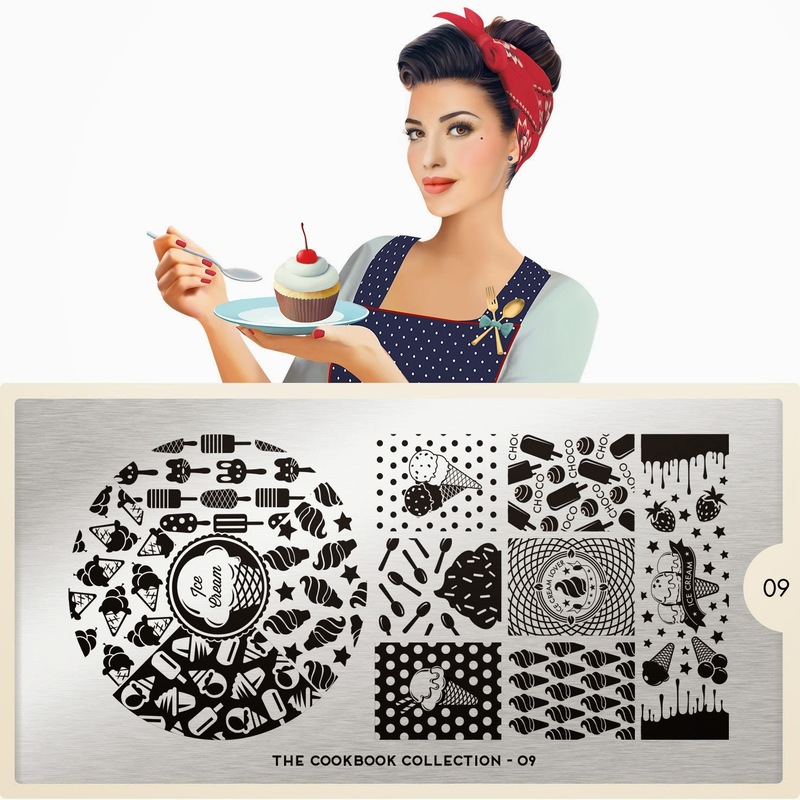 Now how about a little Cookbook magic from MoYou London this week? Finally was able to upload the individuals images as I usually do . 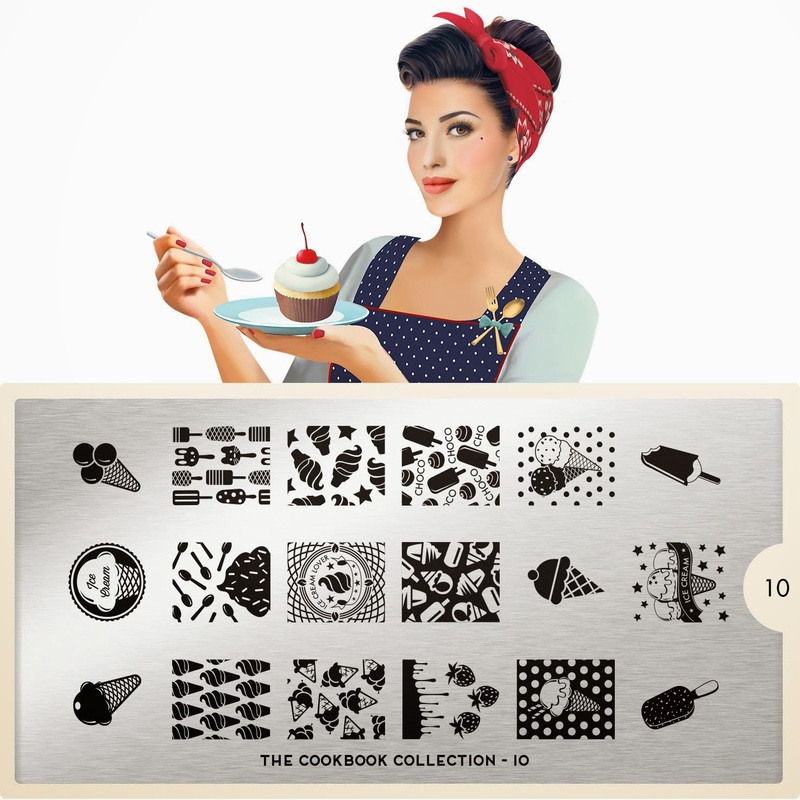 In any case these plates are definitely whimsical and sweet but not entirely necessary 😉! Lots of ice cream and dessert items, and more cupcakes. 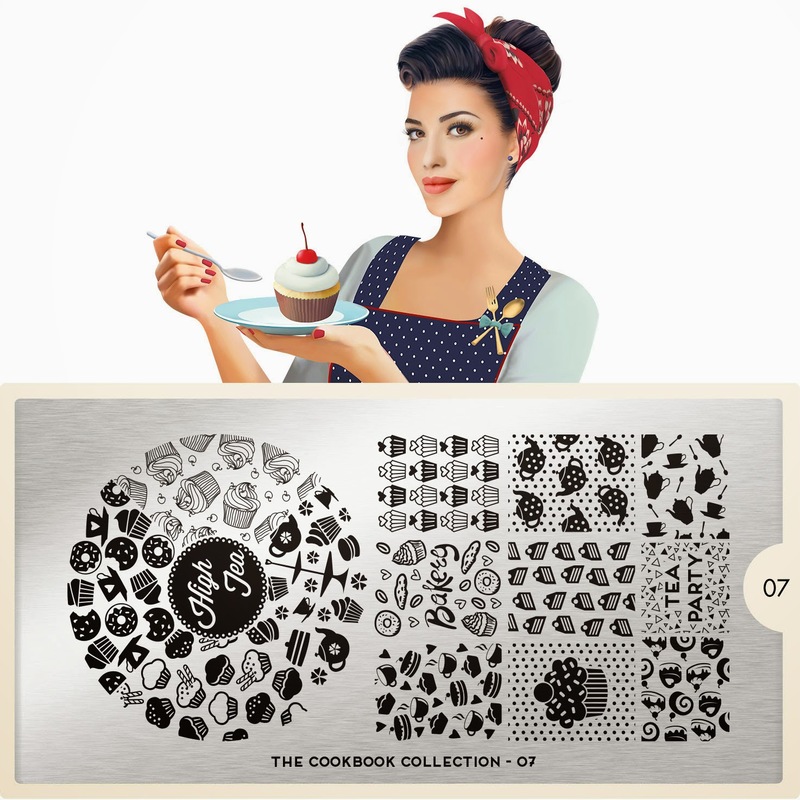 For the ill informed you might think this is the first time MoYou has offered us cupcake imagery but if you own the plates there are great cupcake images available from the Pro and Princess collections. I should know since I used one for my 31 Day nail art challenge with MoYou. This plate is adorable! I find myself thinking these would be perfect for hot summer months, but right now my focus is very heavily toward the upcoming holidays! Now that said the dripping image with the strawberries is just too damn cute! I hope the computer curse will be relieved soon, I keep my fingers crossed for you. You still manage to keep up to date with the news for us and we do appreciate.